Blair grew up in Lake Wales, FL and graduated from Lake Wales Senior High School. Following high school, he enlisted in the U.S. Air Force and served in the military for over 21 years. During his military service, Blair traveled to and was stationed in locations throughout the United States and many foreign countries, including numerous deployments to Iraq and Afghanistan with the Air Force Special Operations Command. While in the Air Force, he also earned three associates degrees through the Community College of the Air Force. Upon retiring from the Air Force, Blair joined First Command Financial Planning in Fort Walton Beach, FL, where he earned his Series 6 and Series 65 securities licenses and his Life, Health, and Variable Annuity licenses. 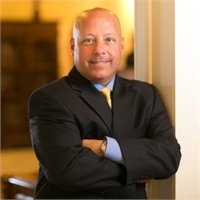 During his time with First Command, Blair worked primarily as a Financial Advisor to veterans and government employees, assisting them with their financial planning needs. After two years with First Command, Blair decided he wanted to move home to Lake Wales to be closer to his family. 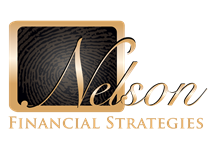 In July of 2013, Blair joined Nelson Financial Strategies with a desire to focus on providing financial advisory services to military veterans in Lake Wales and surrounding areas. As a Volunteer Advocate for U.S. Senior Vets, Blair assists veterans and their families with applying and qualifying for non-service connected disability benefits. He also serves as a Family Services Advisor for Stephenson-Nelson Funeral Homes in Avon Park and Sebring. Blair enjoys spending his free time golfing, fishing, watching college football (an avid Florida Gator Fan), and, especially, in fellowship with the friends of his community. He is also working to achieve his Bachelor of Science Degree in Business Administration and Management from Trident University International.